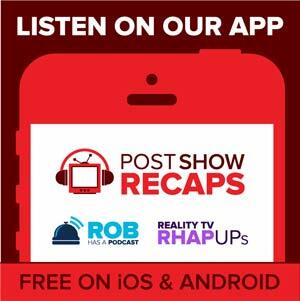 LIVE on the morning after the return of Jack Bauer, Rob Cesternino and Josh Wigler recap the premiere of 24: LIVE another Day. How did Rob and Josh think the premiere held up? Did this return of the series feel like 24? 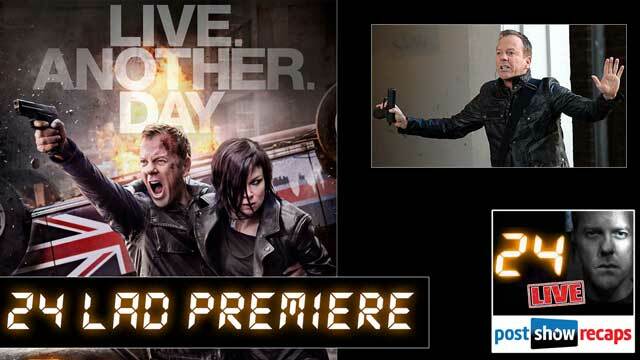 How well did the premiere set the stage for what is to come in 24: Live Another Day? How did the transition to London as the setting work for the series? Was Jack’s intention to break in to the CIA base to save Chloe from being tortured or to save Chloe so he could follow her to her base of operation releasing documents on the internet? What is Jack’s true motivation with trying to save President Heller? Does he really have the President’s best interests in mind or does he think that he can rekindle the flame with Audrey after all this time? Is the president’s chief of staff, Mark Boudreau (Played by Tate Donovan) actually looking out for the best interests of the Heller family or does he have his own agenda? Does Mark actually have romantic interest in Audrey or is he using her for another purpose. Just how quickly do we expect President Heller’s condition to deteriorate? How did President Heller get elected? What is President Heller trying to accomplish in his treaty with Great Britain? In the premiere we get to meet all of the players working at the CTU CIA base in London. Do we expect any more details on the ex-husband of Kate Morgan (played by Yvonne Strahovski)? How soon in to the season do we expect Jack and Kate Morgan to be working together? What were the reviews on Steve Navarro (played by Benjamin Bratt) as the new director of the CIA base? What do Rob and Josh think of Chloe’s new look? Why isn’t Chloe more pissed off at Jack for busting in and breaking up her operation of releasing documents? What happened to Chloe’s baby – who would probably be about 10 years old now? What do Rob and Josh think of Michelle Fairley (formerly Catelyn Stark on Game of Thrones) as the women responsible for launching these drone attacks? Does Lt. Tanner have a believable story that he is being set up? Why was Yates constantly taking apart computers? How did Yates never notice that his girlfriend wore a blonde wig? Be sure to join Rob and Josh on Monday, May 12 for the next LIVE edition of our 24: Live Another Day Podcast.